Which players will define baseball in 2018? That's what our list seeks to determine. You have probably seen lists of baseball’s best players. You have also probably seen lists of baseball’s most valuable players. Maybe you have even seen lists of baseball’s most popular or most marketable players. Here at The Comeback, we wanted to try something different. 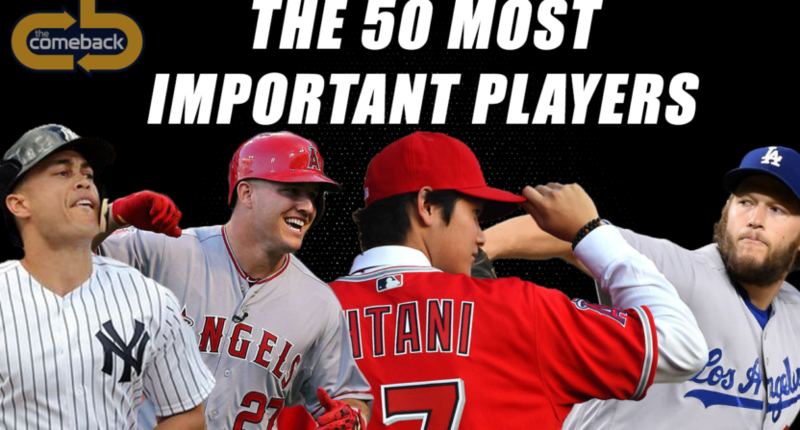 With that in mind, we present to you, a list of baseball’s most important players. Of course, “most important” could mean different things to different people. Here’s what it means to us: the players who matter most to baseball in 2018. They’re the ones who dominate the headlines. The ones who will define baseball in the coming season. Putting together this list wasn’t easy. The criteria are admittedly murky, and a player who feels important to one person might seem less so to another. After much deliberation, we wound up excluding undoubtedly important players such as Yasiel Puig, Zack Greinke, Carlos Carrasco, David Price, Rhys Hoskins, Yoan Moncada, Mike Moustakas and Jose Ramirez because we felt there were 50 better choices. Consider those guys honorable mentions. 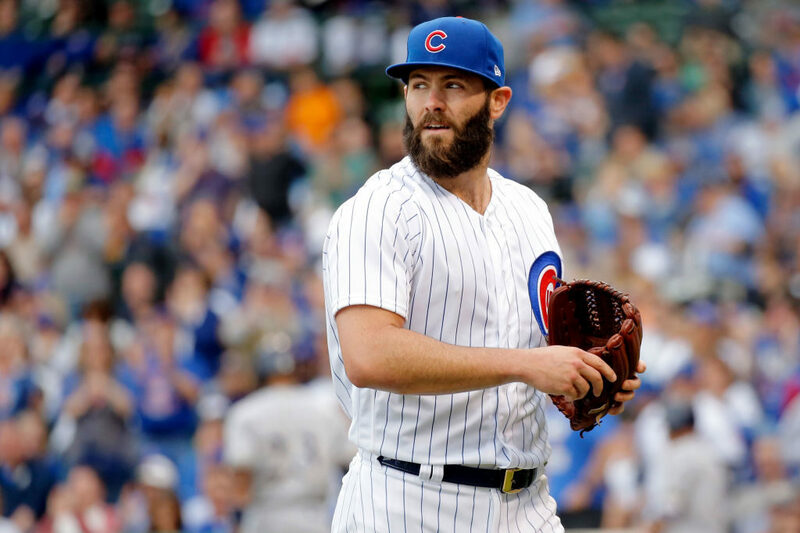 If Arrieta signs before Opening Day, he will provide a case study in how a long offseason affects performance. And if he doesn’t sign before Opening Day, his name will dominate the rumor mill every time a pitcher on a contending team gets hurt. Baseball’s least appreciated star finished sixth in NL MVP voting last year and could have been higher. Maybe 2018 will be the year fans and media take notice. Blackmon put up gaudy numbers last year for a surprising Rockies team. If he repeats that performance, his profile will soar. Pujols was one of the worst players in baseball last season, which helps make him one of the game’s most interesting players entering this season. Whether he enjoys a bounce-back or gums up the Angels’ lineup, you’ll hear about him. At only age 28, Rizzo is the elder statesman and leader for the NL Central favorite Cubs. He’s also a three-time All-Star and one of the game’s steadiest stars. The best closer in baseball has recently been one of the most outspoken about the sport’s labor issues. Bumgarner hurt himself in an ATV accident last spring and was barely heard from again, but he will be a centerpiece of the Giants’ attempt to rebound from a down year. Hosmer’s eight-year, $144 million contract raised some eyebrows this winter. He’ll be under a microscope in 2018, even on a lifeless Padres team. 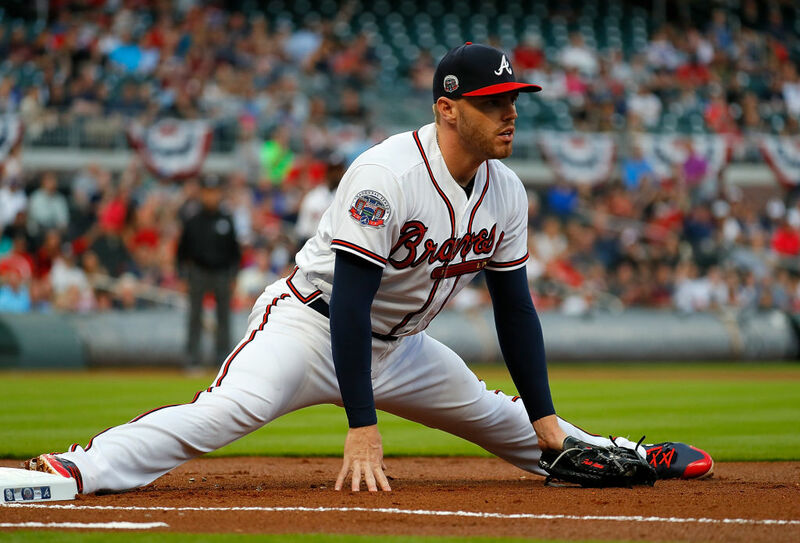 If Freeman stays healthy and the Braves take a step forward, he could get some MVP buzz. He’s that good. Trade rumors will keep the Marlins’ young catcher in the news all summer long. Cespedes is probably the most dramatic player on probably the league’s most dramatic team. In 2017, Turner completed his unlikely transformation from utility infielder to MVP candidate. He’s a stalwart on the NL’s best roster. Is there any MVP form left in McCutchen’s 31-year-old body? And can the outfielder unleash it after being traded from the only MLB franchise he had ever played for? Entering his 14th MLB season, Cano remains the best player on a team desperate to snap a 16-year playoff drought. The premier defensive infielder on the planet enjoyed a career-best season at the plate last year. Maybe 2018 will be the year he finally makes an All-Star Game. 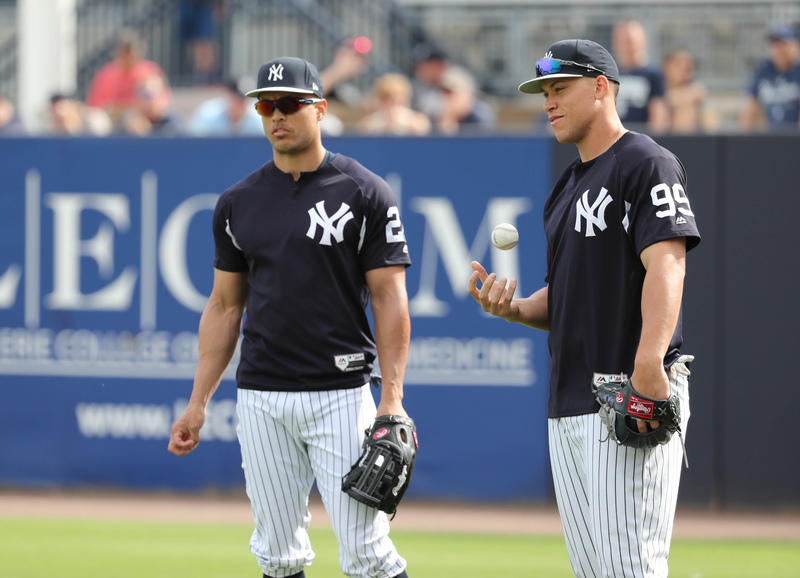 After an incredible rookie run in 2016, Sanchez was overshadowed by Aaron Judge in 2017. Expect more people to notice him this year. 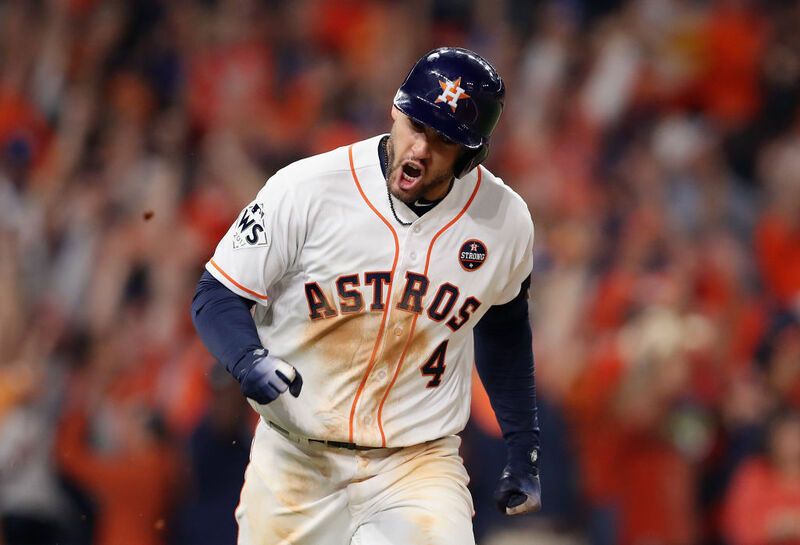 The reigning World Series MVP will be back atop the lineup of the American League favorite. The Brewers nearly made the playoffs last year without a true star, an act that will be tough to repeat. Milwaukee could really use Yelich to fulfill his potential in a hurry. Expect 2018 to function like a farewell tour for the ever-incredible Ichiro, who has returned to the city where he became famous. Even as the Giants struggled, Posey enjoyed a very productive season in 2017. The former MVP remains baseball’s top catcher. Beltre is a future Hall of Famer, a respected elder statesman and a GIF machine. Oh and he’s still an All-Star-caliber player entering his age-39 season. Even if Archer’s pitching doesn’t keep him at the front of fans’ minds, his presence in trade rumors should. The Rays righty should be one of the most coveted pieces on the market at July’s trade deadline. Buxton might be the best defensive outfielder in baseball. If he can maintain some of his offensive gains from the second half of 2017, he’ll take his place as one of the top overall players as well. Donaldson is one of the most productive third basemen around, but that won’t stop the Blue Jays from shopping him if things go sour in Toronto. Baseball’s top prospect will debut in the Majors sooner than later, and when he does his every move (including how he wears his hat) will be monitored closely. 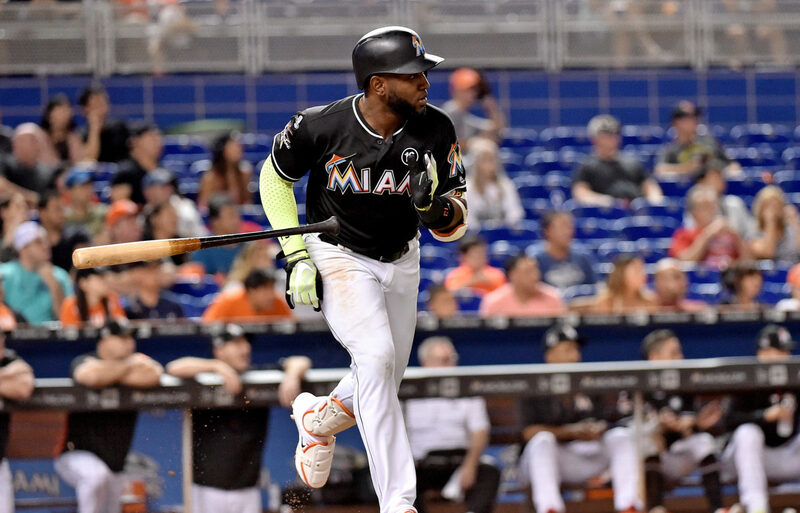 Ozuna’s breakout season in Miami went largely unnoticed last year, but now that the outfielder is (arguably) the best player on a contending team, the baseball world should begin to pay attention. Goldschmidt might be the sport’s least interesting superstar, but when you are a perennial MVP candidate and the standout player on a playoff contender, people tend to pay attention to you. No one is more imposing than Thor. The hardest thrower in baseball could be a Cy Young contender if he stays healthy. Fresh off a remarkable rookie season, the 22-year-old Bellinger will settle in at first base and look to prove 2017 was no fluke. Votto has the stats of an A-list superstar and the winning personality to match. What he doesn’t have is the supporting cast to get him anywhere near a playoff hunt. Kluber seems thoroughly uninterested in drawing headlines, but it’s hard for him to help it when he’s off winning Cy Young awards. Verlander looked like a new pitcher after being traded to Houston last summer, and he emerged as a postseason hero in the ALCS. Now he’ll attempt to maintain that performance over a full season. Martinez quietly blasted 45 home runs last season between the Tigers and Diamondbacks. No matter what he does this year in Boston, there won’t be anything quiet about it. 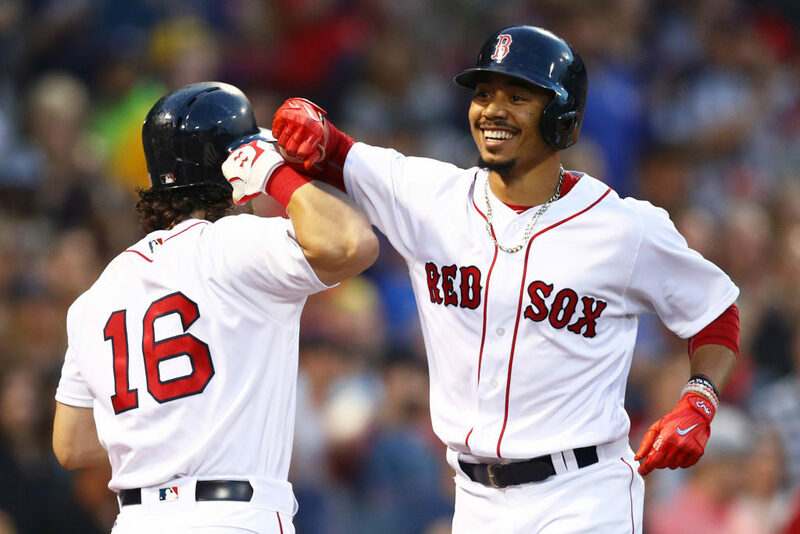 Martinez’s teammate Betts managed to disappoint Red Sox fans in 2017 despite finishing sixth in MVP voting and winning a Gold Glove. He remains one of baseball’s elite players. Seager has a lower-key personality than some of baseball’s other great young shortstops, but he is every bit as talented and productive. Darvish will try to put a disastrous World Series behind him and live up to a massive new contract, while acquitting himself with a new team. Scherzer just won his third career Cy Young award, vaulting him into historic company. He’s a no-hit threat every single time out and is the most fun-to-watch pitcher around. 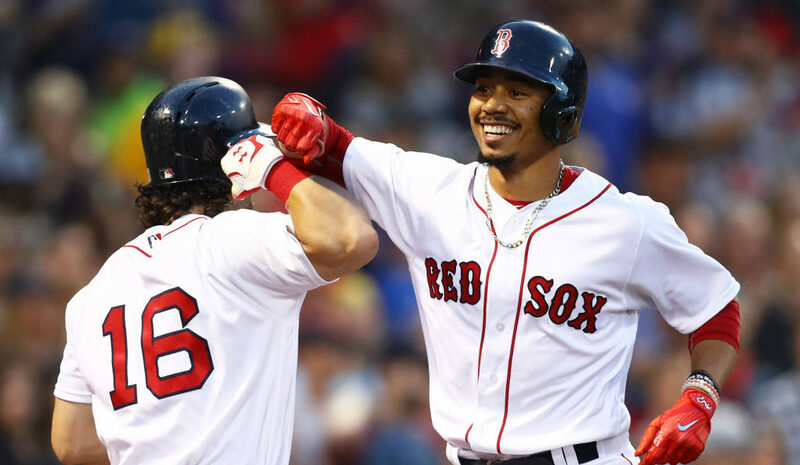 Lindor has become widely popular not only for his broad smile and infectious energy but also for his slick glove and surprisingly powerful bat. Bryant is about as good as baseball players come, and he’s also the marquee player on one of the sport’s very best teams. Nothing turns you into a superstar quite like tearing through the playoffs then proposing amid the post-World Series celebration. 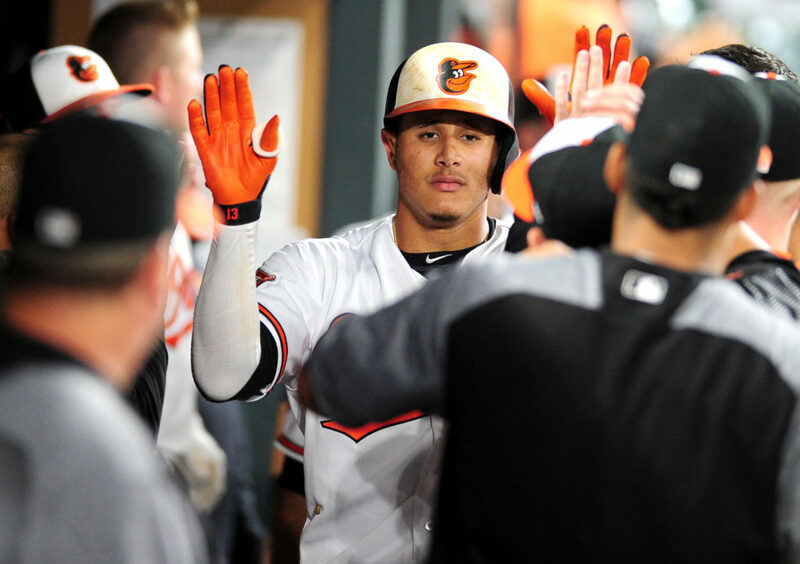 Machado looks to rebound from a disappointing season as his team weighs whether to trade him before he hits free agency. Sale is an incredible pitcher who happens to be simply intoxicating to watch. It seemed possible that, given pitch-counts and innings limits, no one would ever again strike out 300 batters in a season. Then the Red Sox lefty went and fanned 308 last season. Everything about Arenado is flashy, from his incredible glovework to his (somewhat Coors-inflated) power numbers. That’s why he has become a household name despite playing for an under-the-radar franchise. If Judge whacks another 50 home runs while leading the Yankees back to the playoffs, he’ll be pretty much the king of baseball. The novelty of a 5-foot-6-inch star has largely worn off. What’s left is an exceptional player at the heart of the defending champs. Can the best pitcher working stay healthy for a full season? Does it even really matter? Regardless, all eyes will again turn to Kershaw once the calendar hits October. Harper’s impending free agency will be a dominant storyline all season long, especially if he replicates the numbers he was putting up last year before an untimely knee injury. Baseball’s mystery man will have a sport’s attention on him with every swing and every pitch. Whether or not Ohtani can pull off the two-way-player gamPbit might be the season’s most enticing storyline. For the first time in four years, the best player in baseball is surrounded by teammates worthy of him. With assistance from Ohtani, Simmons, Justin Upton and others, this could be the year that Trout jumps from baseball-nerd hero to crossover star. All signs point to Stanton as baseball’s most important/interesting/newsworthy player in 2018. He’s joining a new team — more specifically, the most famous team in American sports. He’s pairing with Judge to form a super-duo the likes of which we haven’t seen in decades. After hitting 59 home runs last year in cavernous Marlins Park, he could threaten records at Yankee Stadium. Stanton will be everywhere this season, particularly if he repeats his 2017 performance and particularly if the Yankees are as dangerous and as evil as they are expected to be.